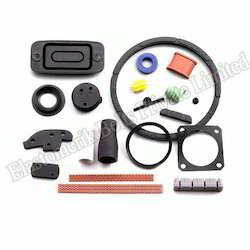 Providing you the best range of precision molded rubber parts, hypalon rubber parts, poly acrylic rubber parts and viton rubber parts with effective & timely delivery. We bring forth our clients a wide range of Precision Molded Rubber Parts that are utilized in several industries and other applications. These products are stringently checked by our quality inspectors before the final dispatch. 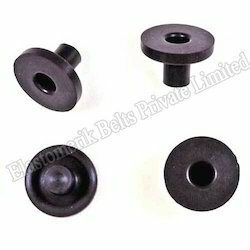 These components are manufactured in compliance with international quality standards using high grade rubber. Molded auto parts are popular in international markets for their easy installation & operation and long service life. We are offering high and fine quality precision molded rubber parts to our most reliable customers which are situated all round the nation. These rubber molded parts are widely available in various specifications and dimensions. 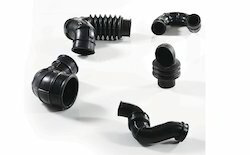 Molded Rubber Parts are available at market leading as well as at competitive prices. 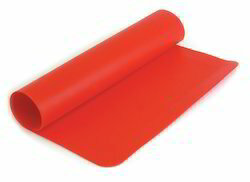 We are a well-established manufacturer and supplier of a superior range of Poly Acrylic Rubber Parts. These are extensively demanded by construction and automobile industries for reducing friction and smooth sliding of buffer and glass of windows. These products are manufactured according to the requirement of the client's specification. They are widely used in various industrial applications. We supply optimum quality of Viton Rubber Parts including rubber tubes, oil seals, washers, chords, o-rings, metal to rubber bonded items, gaskets and diaphragms. We offer our Viton rubber parts in various size and shapes. Viton Rubber Parts are valued and exalted for their fine quality and consistent performance even under harsh working conditions. Viton Rubber Parts are available at market leading prices. Viton Rubber Parts are fabricated using high-grade material and technologically sophisticated machines in the production process.